Mittersill Alpine Resort - a four-season resort in scenic Franconia Notch located in the White Mountains of New Hampshire. Mittersill Alpine Resort, NH. 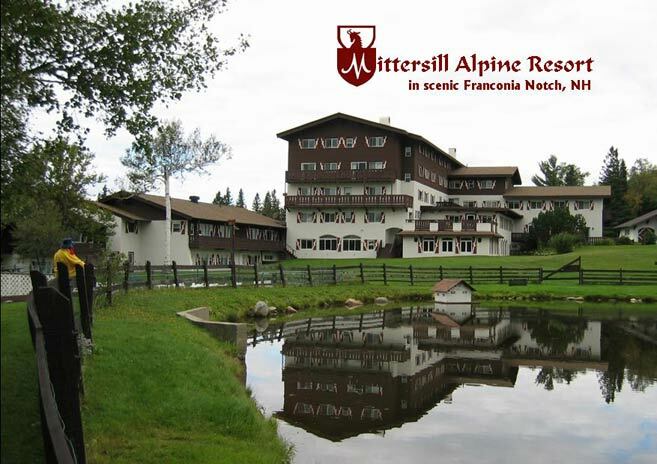 Built in 1945 with authentic Austrian style, Mittersill Alpine Resort combines authentic Old World charm with modern conveniences. Nestled in a quiet, private Alpine village, a perfect spot to experience the beauty of Northern New Hampshire and the White Mountains National Forest. Accommodations include selected hotel rooms, or enjoy our spacious one and two bedroom units with full kitchens. Availability may be limited, so please call soon, while there is still time to make the vacation plans that best suit you and your family. Sorry no pets; no air-conditioning. Indoor/outdoor swimming pools, Jacuzzi, sauna, tennis, fitness room and game room. 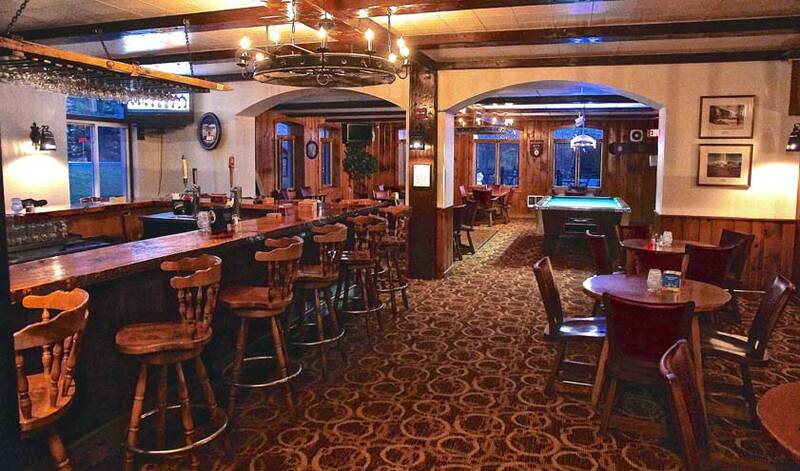 We offer an on-site pub (seasonal hours apply) - Baron's Pub: serving beer, wine, salads, soups and sandwiches, with wifi available in the adjacent Alpine Room. Relaxing and quiet, a perfect location for a quality, self-directed vacation or weekend visit. We are just minutes from all area attractions - often with seasonal discount coupons/vouchers available for golf or skiing. Whatever time of the year you enjoy the most; summer, foliage, quiet of spring, ski/snowmobile season or maybe hunting season, we have something for everyone. In summer, choose from the golf courses close by, the beach at Echo Lake nearly a mile away, nearby zip-lines, many hiking trails and/or tourist attractions. For spectacular scenery, don't miss the Aerial Tramway on Cannon Mountain. In the winter; ski the adjacent NH State owned and operated mountain; including the newly re-opened Cannon's Mittersill Mountain backcountry trails or Peabody Slopes on Cannon Mountain. This ski area has a vertical rise of 2,146 feet and is covered with 21 miles of trails and slopes. Skiing is also available at Bretton Woods or Loon Mountain both mountains are within an easy drive. Contact us to discuss nightly rental or ownership opportunities!